to service any towing need! attachment. This unit also has a wide variety of recovery tools on board. Equipped with a NRC quick swap under reach, rated at 30 tons. Unit is able to tow trucks from medium duty to road tractors & buses. 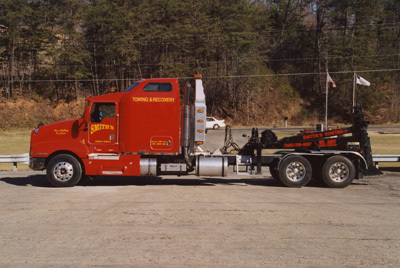 as a road tractor to move trailers locally & long distance. Designed for medium-duty to large trucks & off-road recovery. 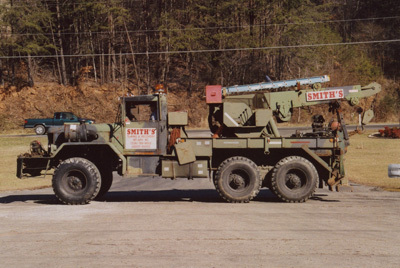 Equipped with front & rear winches as well as a 20 ton crane. Equipped with 28 ft bed, 20,000 lb capacity, 20,000 lb winch, removable side rails. 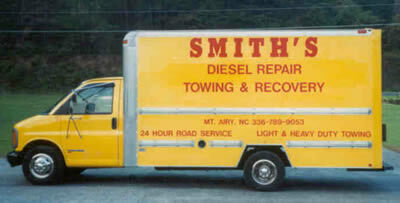 Can carry forklifts, ligh & medium-duty trucks, small motor homes, etc. air compressor, lighting system, & fuel transfer capability. Truck is stocked with fittings, filters & hoses for minor road repairs. store or deliver freight as needed.